Abba Eban was an Israeli Foreign Affairs Minister, Education Minister, Deputy Prime Minister, and ambassador to the United States and to the United Nations. He was also Vice President of the United Nations General Assembly and President of the Weizmann Institute of Science. The New Diplomacy: International Affairs in The Modern Age. First edition. Octavo, original cloth. 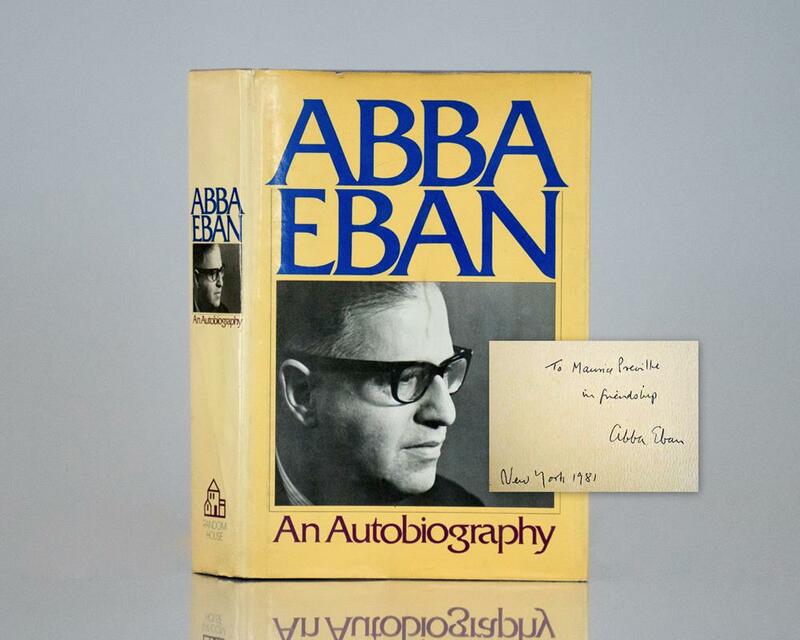 Inscribed by the author on the front free endpaper, “To Alan Dershowitz in friendship Abba Eban.” Near fine in a near fine price-clipped dust jacket. Heritage: Civilization and the Jews. New York: Summit Books, 1984. First edition. Quarto, original half cloth. 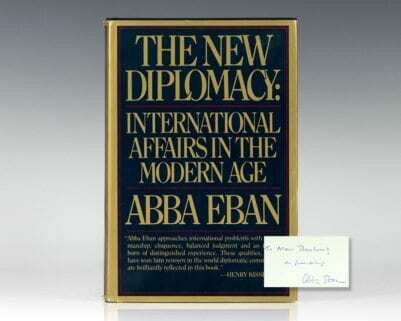 Inscribed by Abba Eban on the half title page. Fine in a near fine dust jacket.